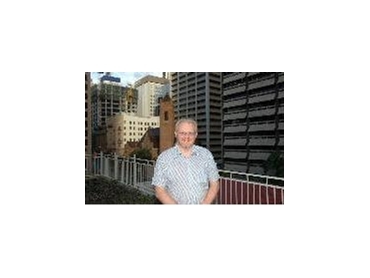 Professor Frank Dunshea, senior research scientist at the University of Melbourne and a participant in the Pork CRC , has been honoured as one of the 2007 recipients of the Minister’s Prize for Application of the 3R’s in Teaching and Research in Victoria. In his role with the Pork CRC, Professor Dunshea is manager of Program 2, which focuses on improving pig herd feed conversion efficiency. Traditionally, the 3Rs have represented reading, (w)riting and ‘rithmetic, but in the case of eminent scientists Professor Dunshea and joint award recipient, Dr Brian Leury, also of the University of Melbourne, they stand for replacement, reduction and refinement. Victorian Minister for Agriculture, Joe Helper, presented the award at the Bureau of Animal Welfare Annual Scientific Procedures Seminar. The award is for pioneering research into the use of Dual Energy X-ray Absorptiometry (DXA) to refine, reduce and replace the use of animals in biomedical and agricultural research and teaching. DXA was initially developed to measure bone density in humans, but using it to measure body composition of domestic animals was pioneered in Australia by Professor Dunshea and Dr Leury. The DXA technique either eliminates the need to sacrifice animals or, due to improved precision, reduces animal numbers by up to 60%. Professor Dunshea indicated that DXA was an invaluable tool for research and teaching. “It is accurate, non-invasive, rapid and cost-effective compared with other techniques, including traditional techniques,” he said. Professor Dunshea said the initial research collaboration between the University of Melbourne and Victorian Department of Primary Industries has now been expanded to include other universities, research providers, companies and hospitals. “The motivation in each case is to reduce the number of animals used or sacrificed during biomedical and agricultural research,” he said. “This represents a total of 54 pigs, rather than the 18 pigs required for the same study using DXA,” he said. “Traditionally, studies into changes in animal body composition used serial slaughter or relatively inaccurate indirect measures, such as dye or isotope dilution,” he said. Since Professor Dunshea and Dr Leary commenced their work, numerous undergraduates and 12 research students have used DXA in their studies at the University of Melbourne. Acknowledging Professor Dunshea’s work and his award, Pork CRC CEO, Dr Roger Campbell, said using advanced technology such as DXA for pig research was a good fit with the Pork CRC’s vision to enhance the international competitiveness of the Australian pork industry by providing and adopting new and novel technologies that reduce feed costs, improve herd feed conversion efficiency and increase the range and functionality of pork products.